Looking to bring out your creative side during your next visit to Breckenridge? 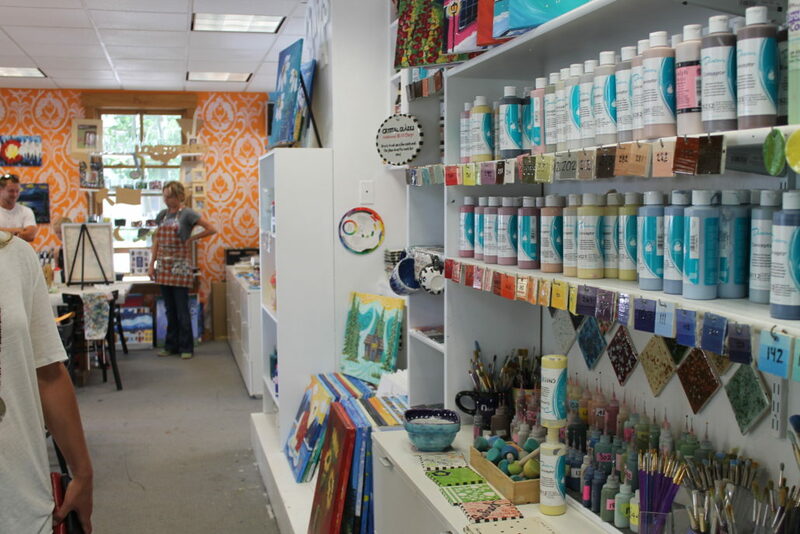 Conveniently located on the north end of Main Street, Ready Paint Fire is just what you need. Open from 11 a.m. to 9 p.m. daily, Ready Paint Fire offers pottery painting, canvas parties and glass fusing! Ready Paint Fire brings in local artists to teach you the painting basics during the Saturday night canvas painting parties! Beginners are more than welcome, and everything is provided, including drinks and music for $35. Reservations are recommended. Ready Paint Fire also teaches an intro to glass fusing workshop. 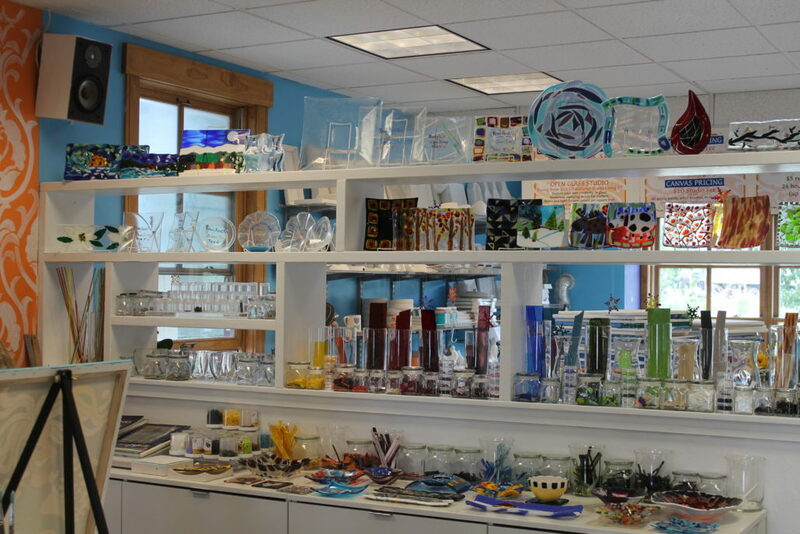 For $40, you can learn the basics of glass fusing, including cutting glass, layering and finishing the final product in the kiln. Create a glass-fused sushi plate or candle holder! Choose from a wide variety of pieces—from a moose mug to a sunflower platter. Let your imagination guide you or use stencils for inspiration. Prices range from $5 to $70, with most items going for around $10 to $25. There is also at $10 studio fee. Get festive this holiday season and join a $5 ornament painting party. A two-day turnaround for firing is guaranteed. Check out the Ready Paint Fire website to learn more about everything they offer or to book your own party! Whether you have a creative bone you want to flex or you’re just looking to have a Grand time, Ready Paint Fire can help inspire you to make a masterpiece! Take a relaxing day with family and friends, and spend some time on our local waters, loaded with Kokanee Salmon, Arctic Char, Brown Trout, and Rainbow Trout. Whether you are just beginning or are more advanced, guides can cater to any level of fishing skill. Try either a full-day or a half-day trip with guides providing all the necessary equipment, including fishing rods, flies and transportation. The only thing you need to bring is a fishing license (required for ages 16 and older). Book a trip with The Mountain Angler, located on Main Street Breckenridge and learn the art of angling, or improve your skills in some of the best fishing waters available. Being permitted on every stretch of water in a 50-mile radius means they will get you to the ideal spot on any given day. 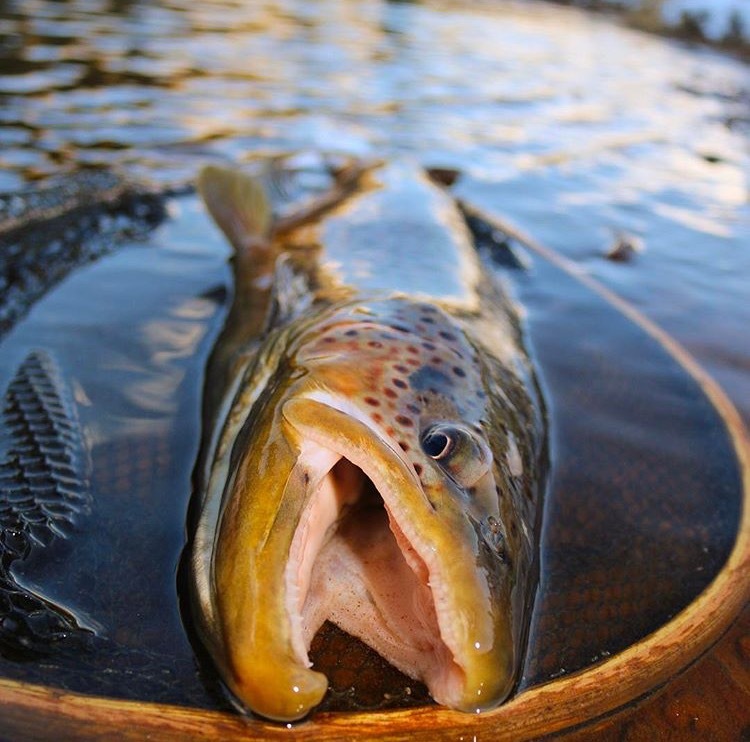 If you are an experienced fisherman, Cutthroat Anglers, located in Silverthorne, are a wealth of information, providing water flow statistics, fly recommendations and helpful details about specific spots in the area. Colorado has some of the best fishing in the nation, so make sure to get out and enjoy casting a line during your next stay in Breckenridge!